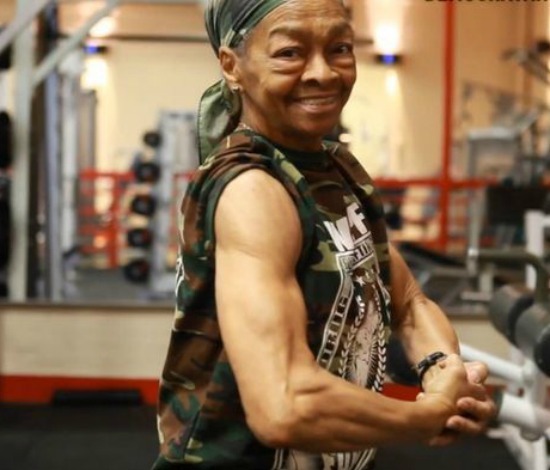 Willie Murphy is a 77-year-old grandmother who is impressing everyone at the Maplewood YMCA in Rochester, NY – and beyond! Her strength, determination, and workout ethic are to be admired. She’s certainly giving us all hope that we’ll be as fit as she is when we’re her age! She’s five feet tall, 105 pounds, and can deadlift more than twice her weight, bench press 125 pounds, and do diamond push-ups, one-handed push-ups, and more. She says, “I’m old — If I can do it, get with it… It’s not that hard. I’m that new senior and I got it going on.” You’ll have to watch the video to see what everyone is talking about!